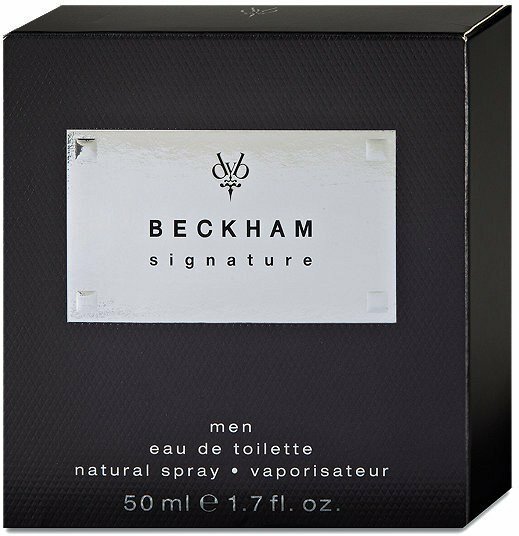 Signature Men (Eau de Toilette) is a perfume by David Beckham for men and was released in 2008. The scent is fresh-synthetic. It is being marketed by Coty. 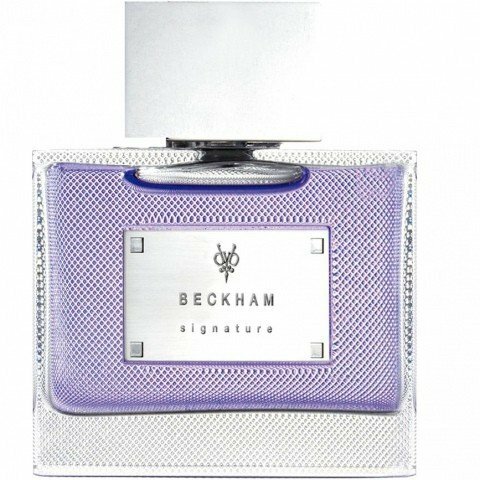 Beckham Signature is a fragrance that opens as a fruity, aromatic, fresh smelling scent. Unfortunately, it doesn't get better than this. As it dries down, the fragrance starts to get bitter or tart. It loses that fresh smelling fruity opening. Beckham maxes out at about 3-4 hours of life. This is perfect if you just need to grab some groceries, hit the gym, or grab a pizza. Later on you'll be able to put something else on and Beckham won't be detected. Since you can find it online for less than $15, it makes sense to give it a try as a situational fragrance. I am quite familiar with this fragrance. My best male friend and my boyfriend both wear Signature for Him, particularly when it's hot out or when they're planning to go to the gym. They both love slightly sweet scents, so it makes perfect sense that they both wear Signature for Him. While this fragrance is nowhere near being sugary sweet, it has a lovely fresh and crisp watermelon accord, which can smell naturally sweet at times. Signature for Him is best suited to the warmer weather, even though cypress, juniper and amber feature strongly in the base, creating a somewhat cozy aroma. It's a simple composition with an aquatic touch, yet strangely enough the oakmoss and patchouli come through quite strong on my boyfriend's skin. It can be a tad spicy at times too. I think this fragrance as a whole could appeal to almost anyone. It's universally pleasing. I'm not necessarily drawn to this fragrance as a female. I like it, but I don't love it. Summer scents in general don't really have the ability to get my blood running. I appreciate the fact that my boyfriend wears this in order to smell fresh when working up a sweat, but I'm also glad that he has other options to wear when he takes me out somewhere nice. I normally dont care much about celebrity perfumes, its a snob thing of me. Like i believe only classics or niche fragances are worthy. But i suspect this is a mistake in someone who is seriously interested in perfumery. Celebrity fragances are the result of a very thoroughful marketing research, and the perfumers must attune to the pulse of the street so the product hits the target and, mostly,sells easily. Celebrity fragances are valuable tools to understand the modern history of perfumery, i believe. 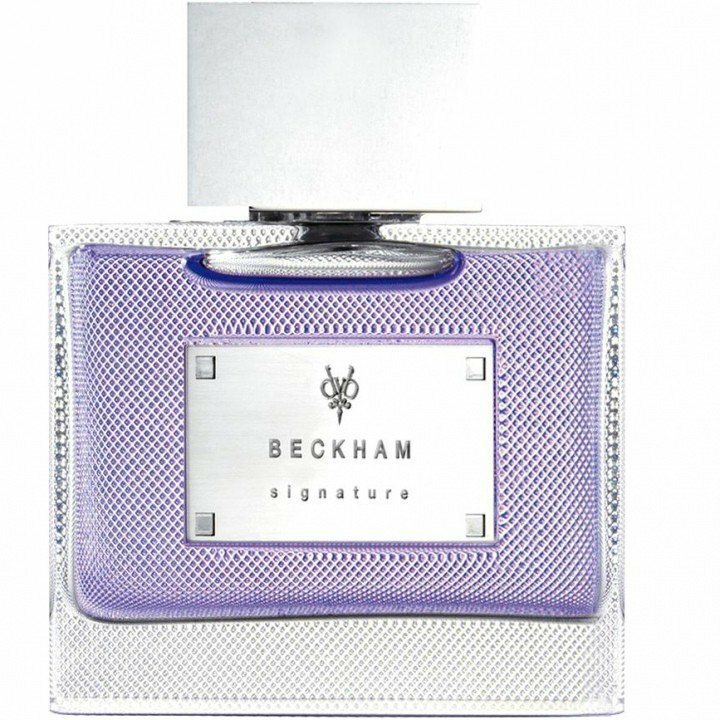 How many times have we smelled Beckham Signature alike fragances? hundreds, probably. It is a perfume that would please a huge range of young guys, though, and i believe it is well done without having anything groundbraking on it. It is VERY aquatic and ozonic. I would probably wear it only to the gym or maybe the beach, but i would enjoy it. Beckham Signature is quite linear. It starts with a very clear watermelon and sea note, and remains watery and sweet until the end. This notes are obviously sytnthetic, but please do not read synthetic like it is a bad thing. I was quite intrigued by the Lantana, since is a plant i relate to my childhood memories and have a very particular dry, pungent smell. I can detect it, although is not strong... it adds some dusty depth to the ozone and the fruit. Same does cypress and the moss, but they dont manage to completely tame the sweetness, they are a glimpse of a sophisticated umber, but the fragance keeps sporty and young and unapologetic about it. The drydown is pleasant, still ozonic and a bit woody. The fruit is almost gone. Write the first Review for Signature Men (Eau de Toilette)!